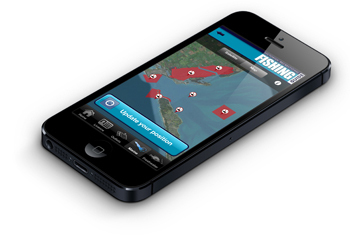 The Recreational Fishing Application brings the popular Victorian Recreational Fishing Guide to iPhone and Android. The first of its kind in Australia, the free application features colour illustrations of more than 70 species found in Victoria's waterways. Anglers can identify their catch and confirm size and bag limits, and access information on permitted equipment and closed seasons. There is also a marine park boundary locator, which uses a smart phone's internal GPS to determine whether the user is in, or approaching, a marine park or sanctuary. The application allows anglers to buy a recreational fishing licence online. For those who would prefer to visit a shop, the GPS locator will find the closest outlets that sell licences, bait and tackle. Anglers can use the application to connect to The Victorian Fisheries Authority's illegal fishing reporting line (13FISH), the Customer Service Centre and the Water Police too.